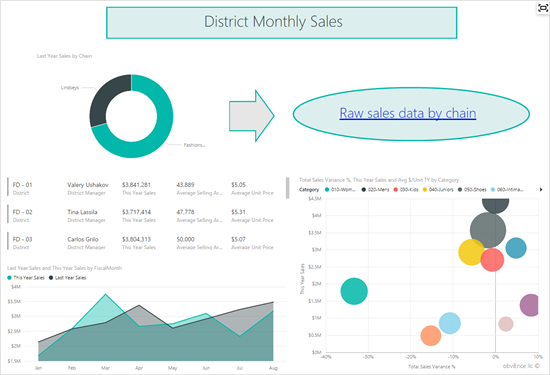 With Power BI Q&A, you can explore your data using simple, intuitive questions and receive answers in the form of interactive charts and graphs. To get started with these questions, it helps to know the terms that appear in the data such as column names or row values. There are instances where you may not know the specific terms in your data (e.g. when using a dashboard created by someone else). 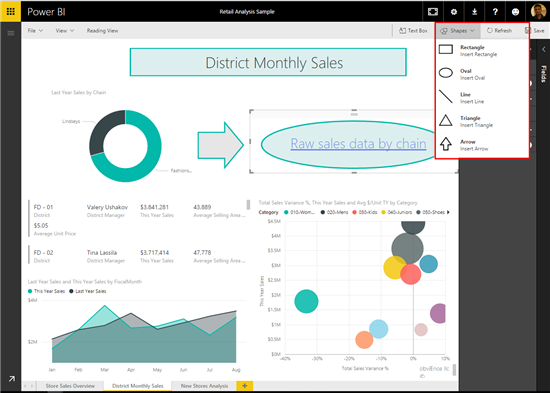 With this release, we have added a feature to help you get started with Power BI Q&A, even when you do not know anything about the data. To get started with this, navigate to any dashboard and click the “How to ask” link near the Q&A question box. Power BI presents you with a number of suggestions based on your data. You can click on any of the suggestions to get started with Q&A. I clicked on the “New stores vs new stores target as a bar” and immediately got the answer in the form of an interactive bar chart. 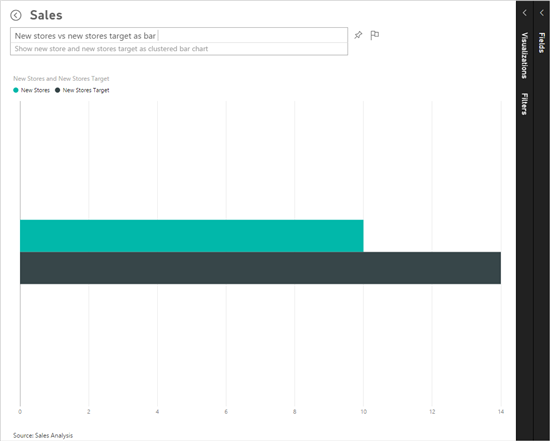 Questions that have been pinned to the dashboard as well as all tables are automatically populated to help you get started. Look for more improvements in this space over the coming months! Anyone who visits your portal and clicks the link will now be able to access to the dashboard. 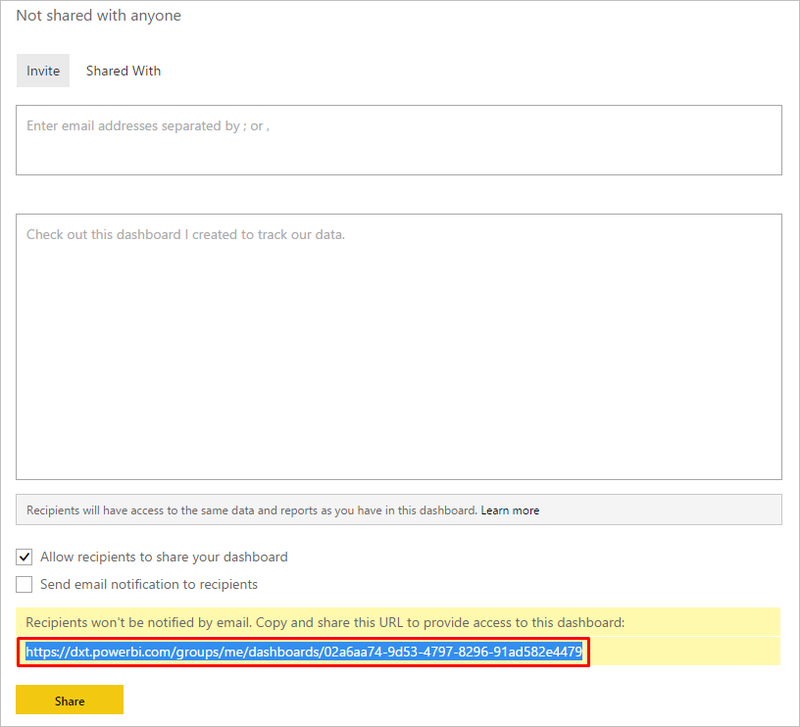 One important note – the dashboard will not be added to the recipients’ Power BI workspace until they navigate to the URL through their browser. 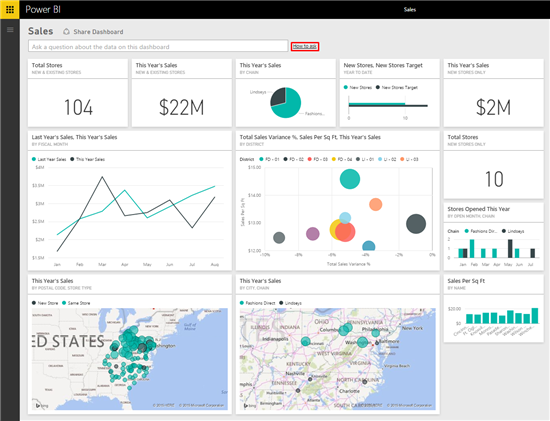 Try out the features and let us know what you think!